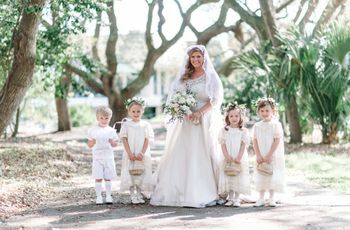 You’ve chosen your bridesmaids, groomsmen, and even your littlest attendants, the flower girl and ring bearer. Now it’s time to assign usher and ceremony reader roles to your friends. 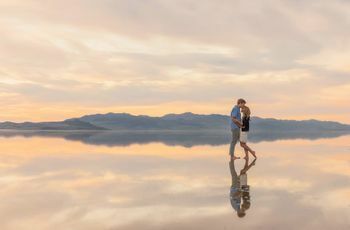 While these jobs might not seem as high profile as the aforementioned responsibilities, they’re critical to keeping your wedding moving — in both the emotional and timely senses of the word! Read on to find out how to make these important selections, and exactly what these jobs entail. What do ushers and ceremony readers do? These roles begin and end at the ceremony. For ushers, their job is to help everyone find an appropriate seat. 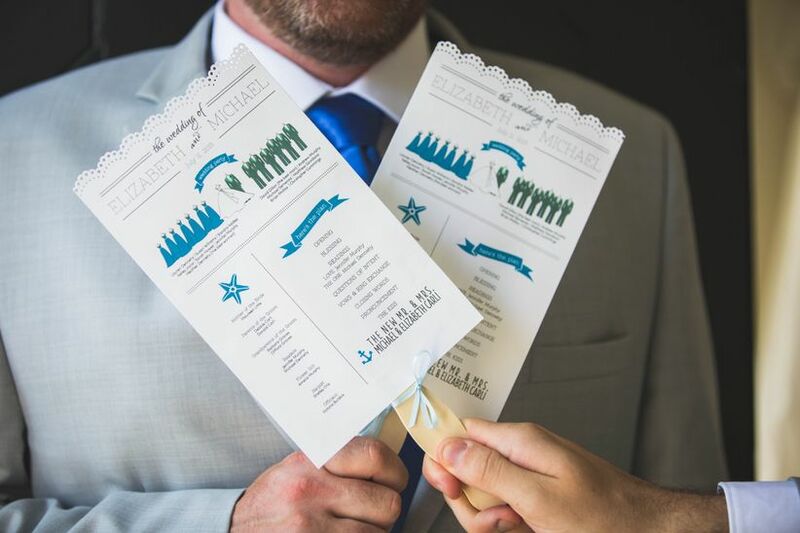 If you’re having guests “choose a side,” your ushers will guide people to the appropriate location. They should also know who the VIPs are — parents, siblings, and grandparents of the marrying couple, and anyone else who gets a front-row, or nearly front-row, seat to the action. In some cases ushers are responsible for closing the door to the venue after the ceremony begins, and helping late arrivals find seats in the back. 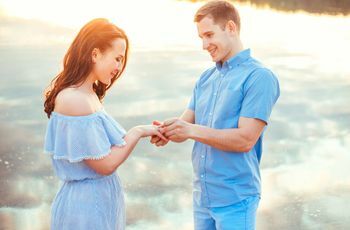 Ceremony readers read special poems, passages, and essays during the ceremony (the exact timing of these readings varies from wedding to wedding) and may choose their own readings, be assigned something specific, or be given a selection of readings to choose from. Who are the top picks for these roles? 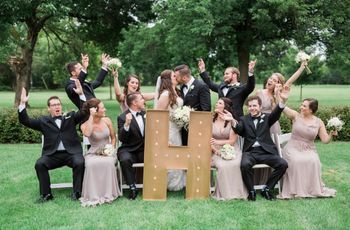 Any close friends or family members who didn’t make it into the wedding party should be considered for these roles — think: aunts and uncles you love; close friends who live out of town and will only be available the day before and day of your wedding; parents or grandparents of the couple; close cousins; and other friends who aren’t already bridesmaids or groomsmen. Are there personality traits we should consider? Ushers should be personable, friendly, and reliable. You’ll need these people to show up early, be respectful to your guests, and help elderly relatives, pregnant women — and everyone else! — to their seats without a fuss. So don’t choose a guy friend who’s sure to hit on all the single women at your wedding, or a cousin who is shy or late for everything! It goes without saying that ceremony readers should be very comfortable with public speaking. If a friend says they’d be too nervous to take on the role, accept their answer and choose someone else — don’t force the issue, because it could affect the flow of your wedding. And if you’re allowing your readers to choose their own passages or poems, pick friends or relatives whose tastes you trust — and don’t be afraid to ask in advance to sign off on their selections. Can kids take on these roles? Older kids can definitely be ushers and readers! If you have confident, outgoing preteens in your life, they’ll be an absolute hit with your guests. So feel free to offer them these special jobs. Younger children may be comfortable simply handing out programs, but will probably won’t be comfortable directing guests to their seats. Should we have a B list? This could be helpful if you think any of your top picks might decline (because they’re too nervous, can’t commit, or for any other number of reasons). Having a second choice in mind will keep you from freaking out if your first choice says no. Be sure to decide the parameters of each role before asking your friends and family members to participate. You can still have ushers if you’re having open seating, for example, but in that case the title may be more ceremonial than practical. Likewise with ceremony readers—decide beforehand whether or not you’ll be choosing the readings, or you’re allowing your readers to make their own selections. Also, you can always ask ushers and readers to help with things like guestbook sign-in, directions to the restroom, and taking people’s coats, if you don’t already have help in those areas. Furthermore, if you have something specific you’d like ushers or ceremony readers to wear, be sure to tell them as much when you ask them to be a part of your wedding. And don’t forget to invite these people to the wedding rehearsal and rehearsal dinner! They’ll need to see the ceremony site in advance to get a sense of where to go on the big day. One more thing: Be sure to thank your ceremony readers and ushers with a gift or, at the very least, a heartfelt handwritten card. Even though they’re not part of the wedding party, they still have an important role that should be appreciated. Etiquette Choosing the Wedding Party Keep these responsibilities in mind as you choose your wedding party.